There is nothing quite like an inspired bit of skill or a big finish to brighten up your week, and, here at SHOOT, we are always on the lookout for the best to bring you. This time round we celebrate a birthday boy in Liverpool’s Xherdan Shaqiri who, despite seemingly having been at the top-level for years and years, turns just 27 today. 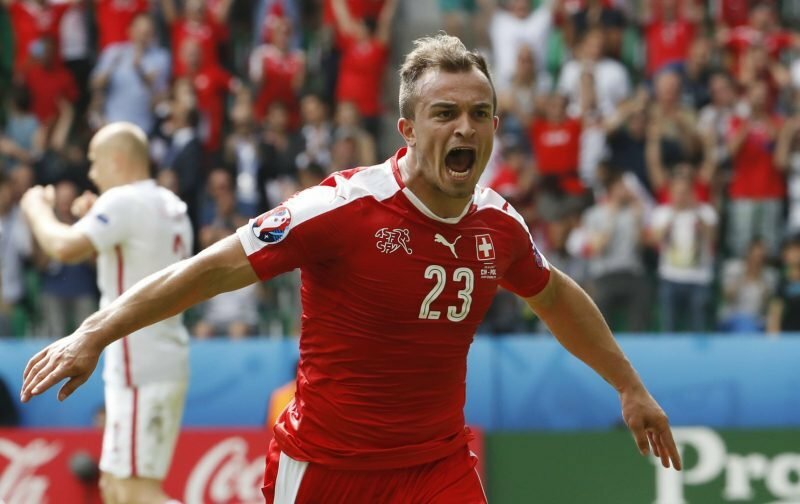 The phrase ‘a scorer of great goals’ can definitely be attached to the Switzerland star. The majority of the time he’s on the scoresheet it’s usually a strike worth watching over and over again. As there’s so many – the bicycle kick on his Reds debut in a friendly against Manchester United being just one example – we’ve picked out a personal favourite of ours. It’s June 2016 and the Swiss are trailing 1-0 to Poland in the last-16 of the Euros. But, with eight minutes left on the clock, their talisman executed the most outrageous acrobatic volley from just outside the area to get his country back on level terms. Unfortunately, Shaqiri & Co went on to lose 5-4 on penalties and the then Stoke City playmaker was beaten to Goal of the Tournament by former West Bromwich Albion and Hungary captain Zoltan Gera.